That’s right folks! We’ve been nominated for another ARIA Award! 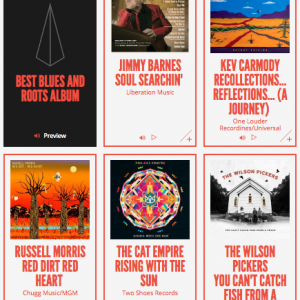 Our new album You Can’t Catch Fish From a Train has been selected to be in contention for best Blues and Roots album in the 2016 ARIA Awards which will be held on 23rd November. What are we going to wear? It’s a good problem to have. Thanks to everyone in the industry that’s been supporting our comeback album after Danny’s third bout in the ring with leukaemia. He won in a knockout! Howdy Music Fans! 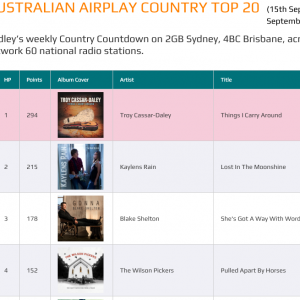 Our single ‘Pulled Apart by Horses’ has entered the Australian National Country Music Airplay Chart t number 4! Thanks to all the stations around this big wide brown land for supporting our new music! We’ve got some big news coming soon too so stay tuned! Rolling Stone Magazine Premiere Our Brand New Clip !!! “Welcome back, Wilson Pickers. After a five-year hiatus — initially brought on by the 2011 leukaemia relapse of vocalist/guitarist Danny Widdicombe — the bluegrass supergroup return with new single, “Pulled Apart By Horses”, the first preview from forthcoming album, You Can’t Catch Fish From A Train, exclusively premiered today via Rolling Stone. Right from the outset, it’s clear their trademark tongue-in-cheek larrikinism hasn’t faded, as lead Ben Salter “jacked up on gin and gatorade” darts from religious references to film metaphors to solemn poetic punches (“I really miss my mother”), before charging the troupe into a mid-song hoedown. The group’s candour playfulness is further extenuated by the lo-fi clip, featuring all five dancing and prancing along to the song’s smirking tone. Our third album and a string of shows this spring! 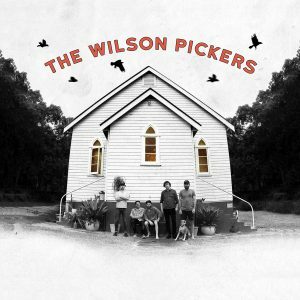 Recorded in the round at Church Farm Studios in Billinudgel, NSW over three days in February this year, the album returns The Wilson Pickers to the bluegrass instrumentation and five-part harmony singing that propelled this side project to centre stage in 2009. Both their previous albums have been nominated for ARIA awards and the band are calling this release their best work yet. Well this is pretty exciting! 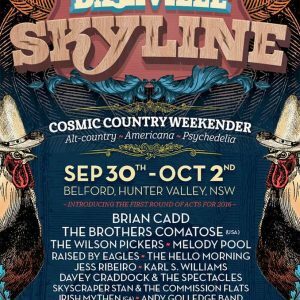 We’ve been included on the incredible lineup for this year’s Dashville Skyline Festival. And remember – You can’t catch fish from a train.